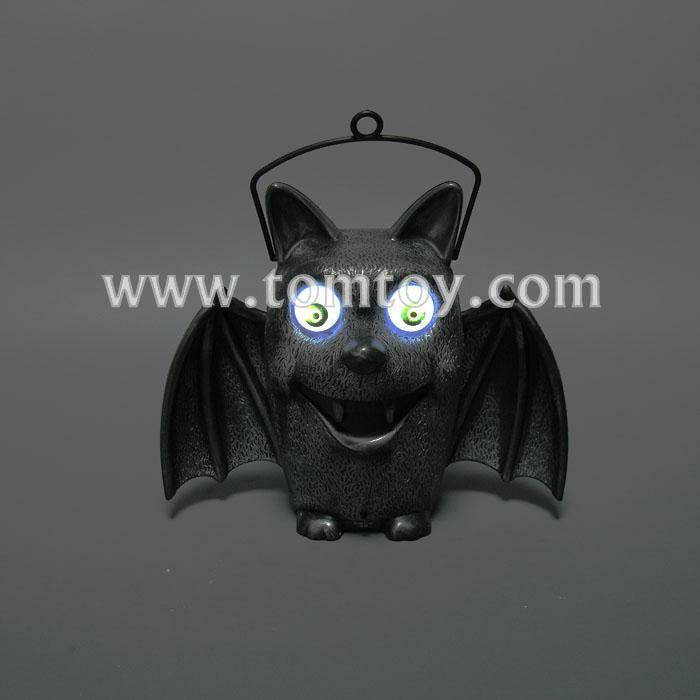 1.Crazy Eyes LED Halloween Bat Hanging Light Lamps are crazy bright and cackle with ghostly delight ! 2. A cool light show flashes in both the crazy-eyed bat . 3. Remove pull tab and turn on the switch To activate eyes flashing, and the sound of terror issue. 4.Measurement : 21.5x20.5x10.6 cm .They can be displayed or decorate your house and your party and any other events for sure .